Shutters are an investment that adds character and warmth to any home they are classic yet contemporary fashion for your windows. 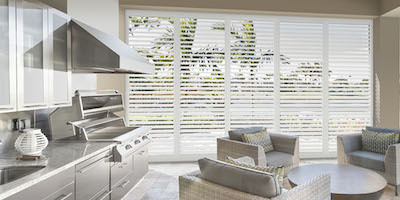 PVC Shutters are made of a composite material. This material is more durable than solid wood. It is appropriate for bathrooms as well as kitchens, as the moisture won’t warp the louvers. The louvers are easy to maintain, as they can be wiped with a damp cloth. Available in different color options, and with or without a center rod. Aluminum Shutters are made of high quality, durable Aluminium. They are ideal for indoor OR outdoor use, such as patios. Aluminum Shutters are available in a lovely selection of colors and do not come with a center rod. Rather the louvers are seamlessly joined at the back and operating one, operates all the louvers in the panel simultaneously. 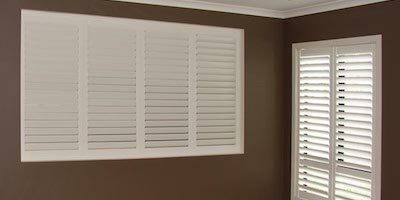 Security Shutters are the best security you can put on your windows. Comprised of space-grade Aluminium, these shutters are as virtually impenetrable as they are beautiful. Elegant and practical, Aluminium Security Shutters are available for indoor or outdoor use. Most manufacturers of Aluminium Security Shutters offer upwards of 10-year guarantees against factory faults. 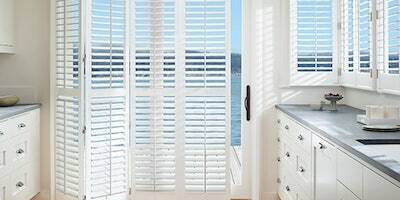 Security Shutters are the perfect way to elegantly protect yourself, your family and your valuables.